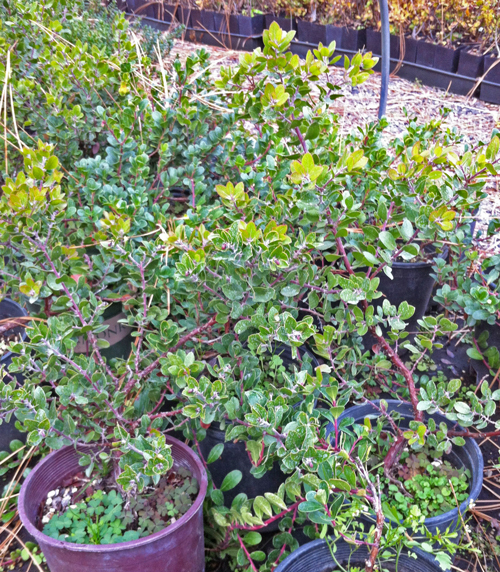 Kinnikinnick is quite hardy, fast growing and has beautiful big red berries. We like to plant this where it can spread out and become a specimen in a native landscape, near rocks, trailing over a wall, associated with other dry site natives. We are are a small, family run business, and we do our best to keep things up-to-date in our e-world, however, the nature of plants to constantly grow along with perpetual inventory fluctuation at the nursery will lead to some slight differences between what you see on the website and what exactly is at our nursery. It's always best to call and speak with one of our wonderful employees regarding price and stock when considering placing an order. Thank you for your patience!